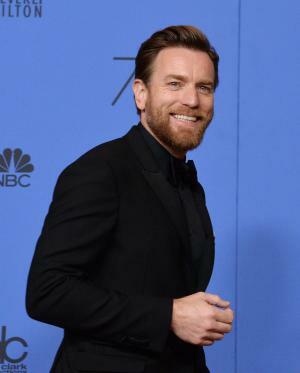 March 7 (UPI) — Portraying the title character in Christopher Robin, Ewan McGregor is reunited with his childhood friend Winnie the Pooh in a trailer for Disney’s upcoming live-action film. The clip, released Tuesday, features McGregor, as Robin, far removed from the Hundred Acre Wood with a demanding job and a family. McGregor is down about missing a family vacation due to his job, however, Winnie the Pooh suddenly arrives to raise his spirit. “I’ve cracked,” the actor says as he looks shocked to see Pooh Bear once again. “I don’t see any cracks, a few wrinkles maybe,” Pooh, voiced by longtime Winnie the Pooh actor Jim Cummings says. “The Hundred Acre Wood is opening up to our world,” a description of the trailer reads. Christopher Robin, from director Marc Forster, is set to arrive in theaters on Aug. 3. Hayley Atwell, Mark Gatiss also star alongside a full voice cast for Winnie the Pooh characters such as Tigger, Piglet, Eeyore, Rabbit, Kanga and Owl.